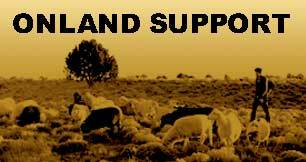 Note: On December 2, 2011, Indigenous Elders & Supporters Occupy ALEC Member Salt River Project (SRP) Headquarters. Louise Benally, a resident of Black Mesa impacted by SRP’s operations, delivered a letter to SRP that outlines critical concerns of her community. She expressed that “My community is heavily impacted by Salt River Project’s coal and water extraction activities. SRP has extensive ties to Peabody Energy’s massive mining operations and the Navajo Generating Station which they co-own. 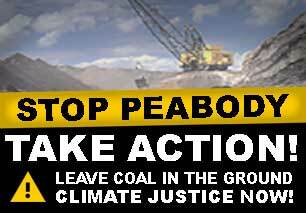 “…ALEC, acting in the corporate interests of SRP & Peabody Energy, continues policies & operations that are not only devastating whole communities and ecosystems, but greatly de-stabilizing our planet’s climate for the profit of a few, the so-called 1%.” stated Benally. “Senator John Kyl passed the Northeastern Arizona water settlement act and previously was the attorney for SRP. He developed legistation to undermine the sovereign Navajo Nation tribal government. There is a clear conflict of interest here. The water settlement needs to be recalled. Additionally, the Navajo Generating Station (NGS) permits should not be attached to the Northeastern Arizona water settlement Act. One issue is about energy and the other is about water; they should not be connected. The EPA decision to allow the Navajo Generating Station to continue operating allows air quality to be undermined. It’s unacceptable for the NGS to be exempt from federal air quality control. Therefore, SRP undermines the EPA. On top of it all, The Central Arizona program is stealing water. Take this message to the streets to protest ALEC across the country!